1. Always have telegrab spells ready – you might need to use it at some point of the combat. And if you are a mage or wizard, use ensnare magic. 2. Have your teleport spells ready so if your get in a real trouble you can teleport. Remember that if your are lower than level 20 Wilderness, there are teleport spell restrictions – you can teleport any higher. If you can not teleport, run for at least 10 seconds while clicking on logout. And the opposite – if someone else is running from you, use ranged and magic to ensure that they won’t logout. 3. Avoid eating during the fight. There is a great chance when you’re eating during a fight all the food to be wasted. You can eat when running, when it will be hard for your opponent to catch you. 4. Make a bait RuneScape player and run him into the wilderness where there is most likely to be a PKer. When he attacks your bait player he will have a skull which will make you have more spoils. 5. 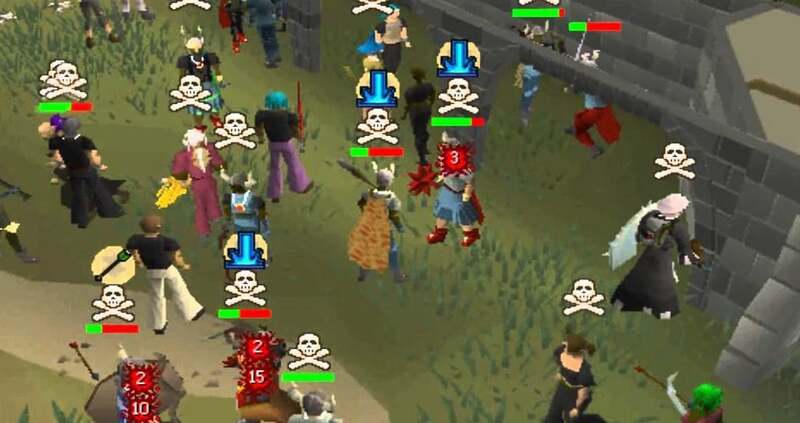 Instead of always take PvP combats, why not bring one or more players with you. When teaming, trust only your close friends. This is the only way to ensure that you won’t be PKilled by a member of your own team. To make a good team, try to mix it up with mages, rangers, and warriors in a balanced way. This entry was posted in How-To Tips & Tricks, Latest OSRS News, Old School RuneScape, OSRS Mobile App, RuneScape 3 and tagged buy runescape account, buy runescape powerleveling, cheap RS power-leveling, OSRS mobile app, OSRS power leveling. Bookmark the permalink.